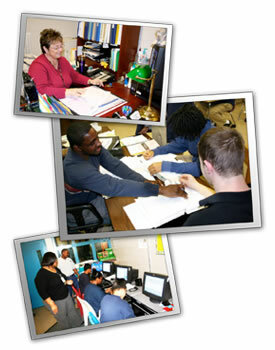 Juvenile Facility Operations operates two types of secure commitment centers for youths in North Carolina: juvenile detention centers and youth development centers. Juvenile detention centers temporarily house youths alleged to have committed a delinquent act or to be a runaway. Youths are generally placed in a juvenile detention center while awaiting a court hearing, or until another placement can be found, either in a community-based program or service or in a youth development center. Youth development centers are secure facilities that provide education and treatment services to prepare committed youth to successfully transition to a community setting. This type of commitment is the most restrictive, intensive dispositional option available to the juvenile courts in North Carolina. The structure of the juvenile code limits this disposition to those juveniles who have been adjudicated for violent or serious offenses or who have a lengthy delinquency history. Youth development centers and juvenile detention centers participate in the U.S. Department of Agriculture's National School Lunch and School Breakfast Programs. Juvenile Nutrition Services features a team of professionals assigned to the Central Office that work to ensure compliance with federal and state nutrition standards and menu-planning approaches. This team works collaboratively with center food service supervisors and their staff along with center directors and other staff to ensure optimal nutritional outcomes for youth. Youth's nutritional literacy is targeted as an education goal while promoting healthy food consumption at the centers. The School Nutrition Services Section of the N.C. Department of Public Instruction conducts a required comprehensive program review of Juvenile Justice's School Nutrition Program every three years. This review measures compliance in areas including meal access, eligibility and reimbursement, benefit issuance, meal counting and claiming, dietary specifications and nutrition standards, meal patterns, food safety, civil rights, local wellness policies, accountability and recordkeeping, financial management, procurement and other areas as described in the federal regulations. This review is overseen by the U.S. Department of Agriculture.